Wedding day is the most special day in a woman’s life, not only for the happy couple, but also for the families and friends who are always there to love and support the marriage. One of the most important steps to dressing the wedding party is choosing a dress for the mother of the bride which can become contentious if it is not handled correctly. Mothers want to look stylish, complement the figure, but also blend in with the bridal party. Thus there are some definite dos and don'ts to choosing an appropriate mother of the bride dress. Traditionally, it is the bride who selects her dress first and it is her bridal gown that sets the style which others will follow. The concept is that all the gowns in the wedding party should complement one another both in color and in degree of formality. Then, it is the mother-of-the-bride who selects her gown next. The rule of thumb is that mothers should be allowed to select a style in which she feels comfortable, while still being in sync with the mode the bride has set with the selection of her wedding dress. Being comfortable is important. You will need to consider comfort and ease of movement when picking a dress. If the wedding and reception are going to be sit down affairs, make sure you are comfortable sitting in the dress. A shorter dress can be exhausting if you are sitting and have to keep tugging it down. However, if there will be dancing and a lot of standing or movement, you will need to feel comfortable moving about. A longer tight legged gown can make it very difficult to move about the dance floor. Try to find a happy balance. It is also difficult for you to bend to touch your toes or squat down to pick something up off the floor. 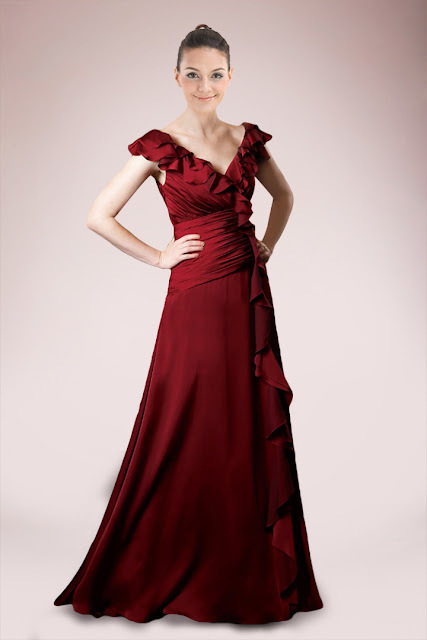 There are some definite no-nos when choosing the color of a mother of the bride dress. White is off limits. Only the bride should be in white or even off white. In the pictures, the bride should stand out when surrounded by her family and husband who are wearing colored garments. Never wear black cause it makes a completely negative statement. Even dark shades of brown can be detrimental to the occasion. All in all, mother of the bride dresses should blend with the bridal party since most mothers will be seen throughout the wedding, either during photos or when helping with the unity candle. The dress should never be the exact same color as the bridesmaids, but should go with the party colors rather than standing out. For example, if the bridal party is wearing emerald green dresses, your dress should be a lighter shade of green; almost a mint green. As you can see, choosing an appropriate mother of the bride dress does take some consideration. It's not all about the latest fashion, but about comfort and color as well. 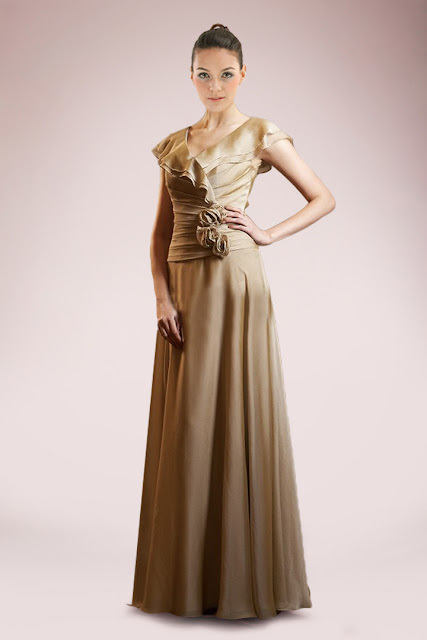 As an important part of the wedding party, mothers should spent time and thoughts choosing the dress. If mothers want to recall the fond memories on that occasion, then keep that dress please.